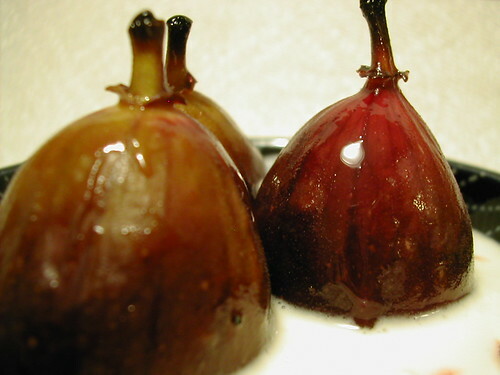 Bought some figs. Realised I don’t particularly like figs raw. So I baked them in some honey. Decided it needed something extra, so sat them on some creme fraiche. Looks kinda disgusting, but tastes pretty good. Would have been better on plain ol’ cream or with a dollop of ice cream.